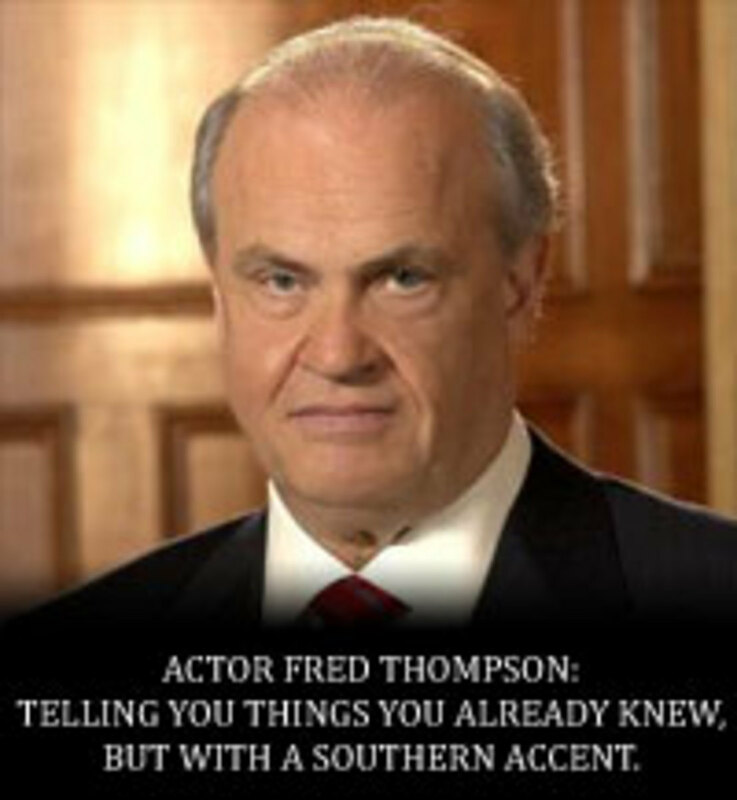 Actor Fred Thompson this week sits us down to lectureabout how it just ain&apos;t right to have bad guys in pro sports, cause golly gosh darn it all to heck in a handbasket what about the kids. You know, I for one am glad actor Fred Thompson is bringing up this issue once and for all, because the mainstream press (with the exception of ABC, CBS, NBC, Fox News, CNN, MSNBC, ESPN, ESPN2, ESPN Deportes, Comcast Sportsnet, MASN, NECN, every local tv and radio outlet, and thousands of blogs focused on sports, politics, and pop culture) refuses to report this story. No wonder the guy should be president.